Southridge has hundreds of incredible volunteers who work together to see lives transformed. We are always looking for people who want to experience amazing things as we work to make a positive impact on the lives of the people we serve. 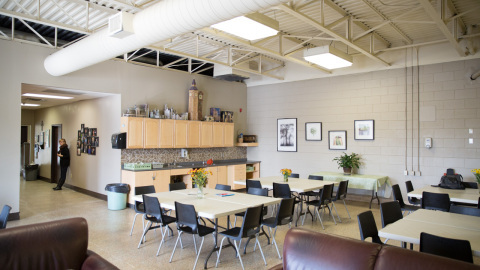 The shelter provides residents with breakfast, lunch and dinner on a daily basis. Each meal is prepared by a group of dedicated volunteers. 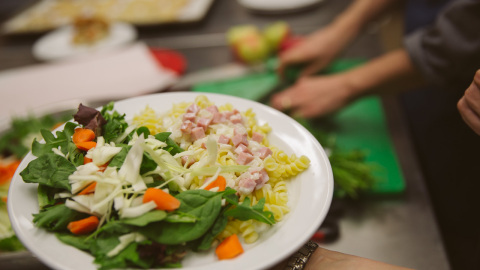 Besides the preparation, volunteering in the kitchen includes serving the meal, eating together and cleaning up after. This is a great introductory role. We believe that life change happens best in meaningful relationships. None of us were meant to face the ups and downs of life alone. We have volunteers in to play card games, have coffee and build relationships that extend into friendships. This is an intentional investment to show love and respect to residents. We want to do our very best to provide a safe and welcoming environment. The first point of contact for residents, visitors and volunteers is the person who is working the front desk. This is an exciting volunteer position because every shift (even every interaction!) can be quite different. 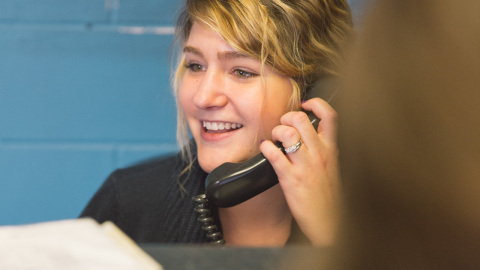 You will find yourself answering phones, monitoring who is coming and going, welcoming newcomers and setting the tone of the shelter as a welcoming, safe place. 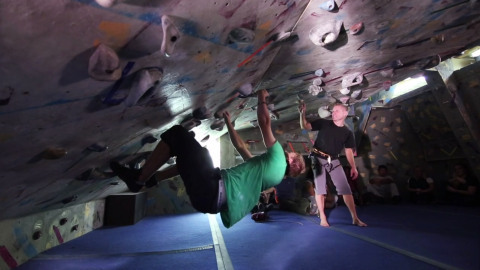 Through our programs, we encourage fun as people explore their natural talents and interests. Volunteers for our programs help to organize the program but also participate intentionally to encourage a positive experience for everyone involved. Currently, we have a staff-led program most evenings of the week including: sports nights, rock climbing, men’s and ladies’ coffee, and games/movie night. 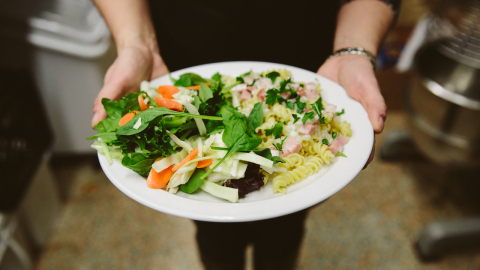 Preparing, serving and sharing a meal with our community is a great way for your group to serve together. The kitchen is a fun, lively environment where we encourage you to make the meals as ‘home-like’ as possible. All ingredients and directions are supplied for your group. The ideal group size is 5-10. If you’d like your class, team or other larger group to learn more about the shelter community, we can host private Open House events that include stories from our community and an ‘ask anything’ with a couple of our guys. 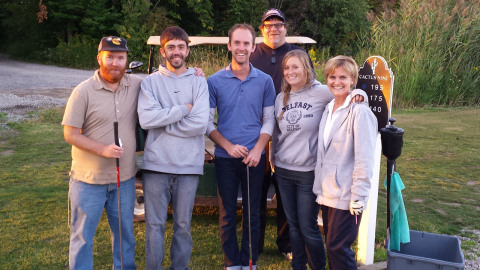 This experience can facilitate groups of any size. Get in touch with us today so that we can follow up with and discuss all of the ways that you can get involved at the Southridge Shelter.